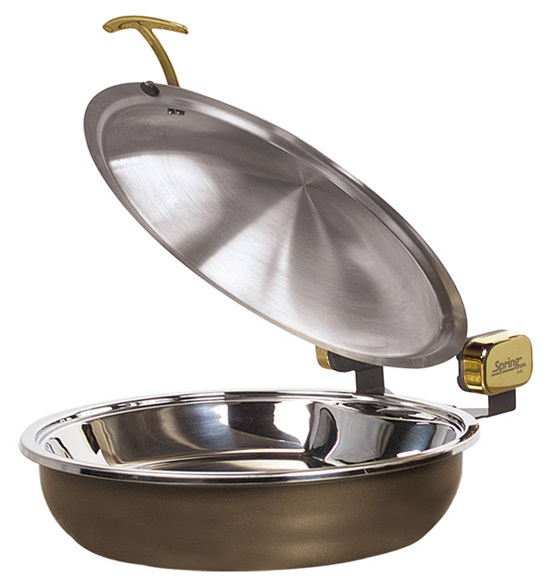 Our Seasons Convertible Buffet Servers, are offered in Titanium or Bronze (stock colors). Neutral colors match any decor. Our durable coating won’t show guest fingerprints. 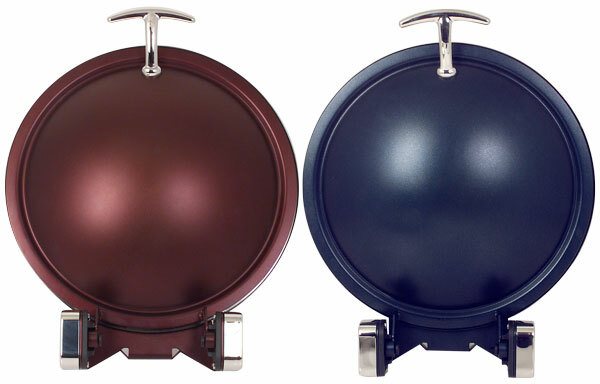 Servers come with three choices for accent colors (handles & axle covers). Choices are Black Pearl, Gold or Chrome. Servers feature our exclusive, ‘AA’ All-Angles Axle System, allowing the cover to hold position at virtually any angle. Server inserts must be ordered separately. Contact your Spring USA Sales Coordinator for assistance in selecting your inserts. 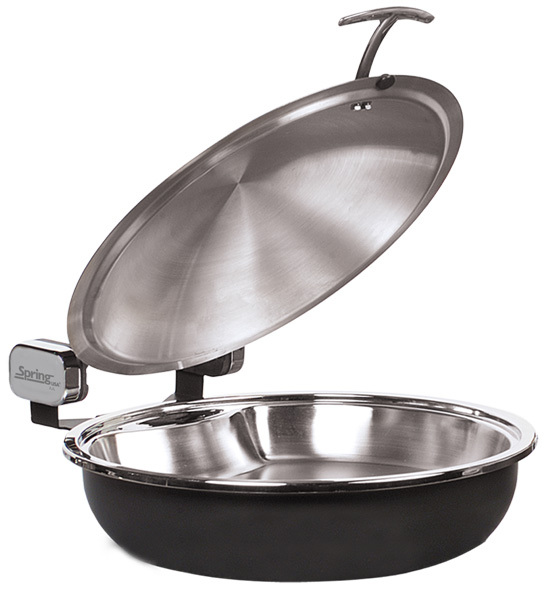 Inserts are available in stainless steel or white porcelain. Pieces are stunning on any buffet! We’ve added new colors options ~ Merlot & Sapphire. These two, new colors are special order. Minimums and lead times apply, so check with your Spring USA Sales Representative or Sales Coordinator for additional information! 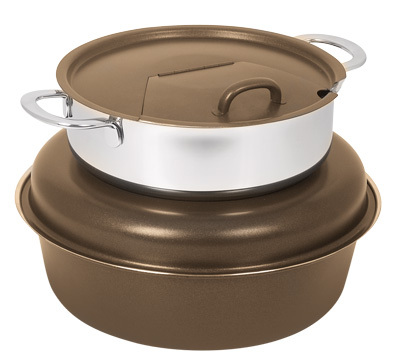 Inserts are ordered separately ~ Choose from stainless steel or white porcelain for the look you want. 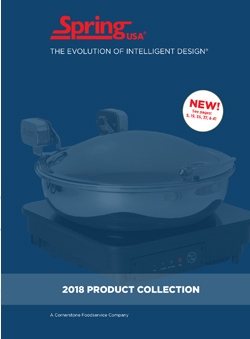 Dimensions for available inserts available for our sauteuse server can be found in our Catalog on Page 19. Over time, axles can wear down. Replacement Axles Kits are available for our sautuese servers. 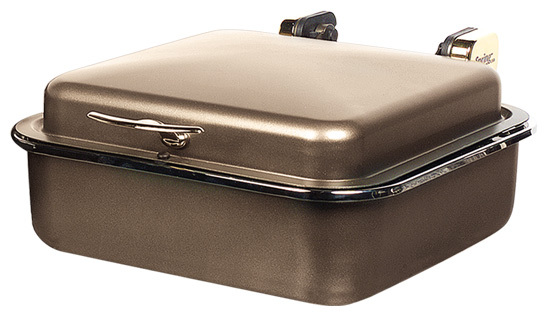 Request Item # AA-644. Your Spring USA Sales Coordinator can assist you with ordering. 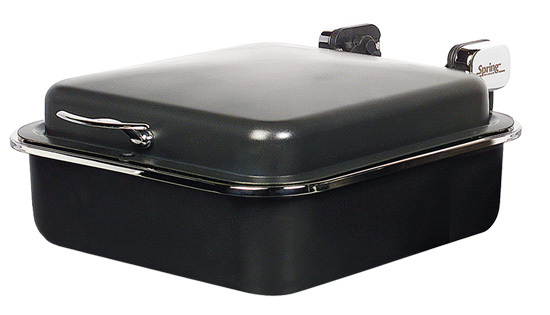 All inserts available for our rectangular converible buffet servers can be found in our Catalog, on page 19. Over time, axles can wear down. Replacement Axles Kits are available for our servers. Request Item # AA-648. 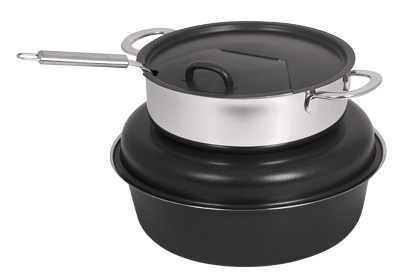 Our Seasons Soup Tureen features our patented, hinged & notched cover. 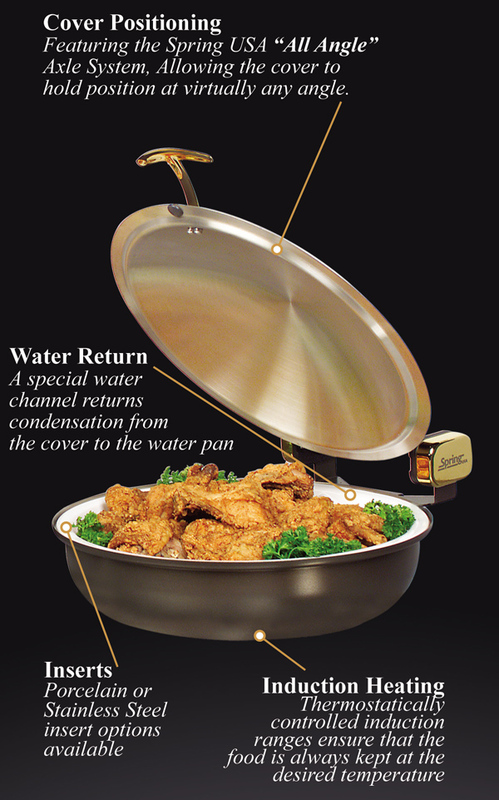 Remember to order the Tureen Ladle, to go with the server. Ladle is a 6 ounce capacity, 11″, stainless steel serving tool – Item #M3505-76. Indicate the color of the knob you want to order (_) = C for Chrome, B for Black Pearl or G for Gold. It is always a good idea to order an additional tureen insert, so you can have one on the buffet & one being prepped in the kitchen. Contact your Spring USA Sales Coordinator for assistance in ordering.